Custom home built by Danny Phillips in the unique, executive Tuscany section of Woodfin Ridge. Attention to detail is found throughout this European style home from the beautifully landscaped corner lot to the Hardy plank and stone exterior. As you enter the arched front door in the foyer, the great room with coiffured ceiling, gas log fireplace, and hardwood floors will immediately draw you in. The formal dining room has hardwoods and beautiful ceiling detail, the custom cabinets, granite countertops, tile backsplash, under counter lighting, gas cook top with down draft, stainless steel appliances, pantry, and breakfast bar make the kitchen perfect for the chef in the family. The laundry/ mud room has a utility sink and extra cabinets. The master suite has beautiful hardwoods, double trey ceilings, and a patio door leading to the rear patio. The master bath has a walk in tiled shower with body jets, jetted tub, double vanity, and a custom designed walk-in closet, the guest rooms share a hall bath. Upstairs, the bonus room can be used as a game/exercise room or a 4th bedroom. It has a full bath and two walk in attic storage areas. The 14x16 screened porch has a chimnea with natural gas logs, surround sound, and tile flooring. The rear patio has a hot tub, outdoor cook station and grill area that&apos;s perfect for entertaining. The third garage is located off the back of the house. It&apos;s great for storing a golf cart, lawn tools, or could be used as a workshop; the yard has a multi-zone irrigation system. The encapsulated crawl space and insulation are upgrades that aren&apos;t typical in the area. Two hot water heaters, fully wired for security and technology, and many other upgrades. HVAC replaced in 2018. This one of a kind home is perfect for entertaining. 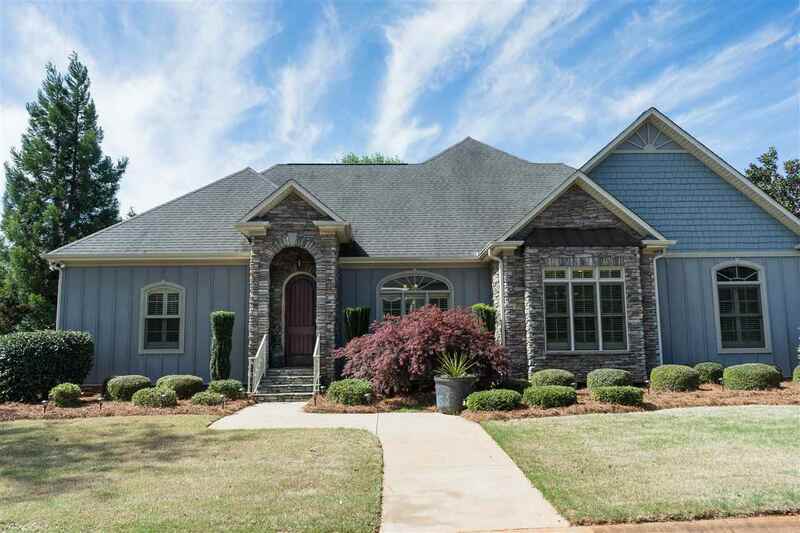 Woodfin Ridge has a gold course, pool, tennis, playground, and a club house.